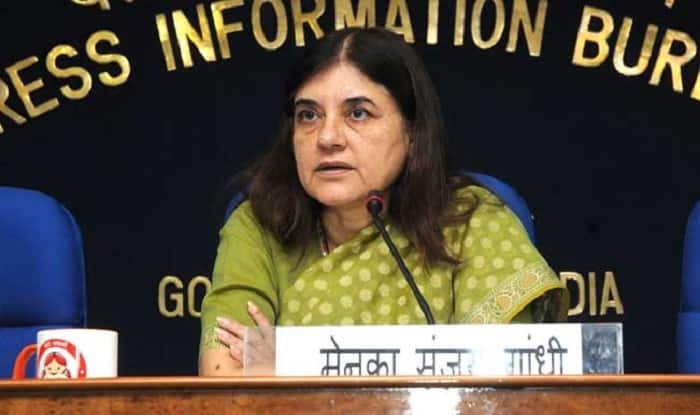 New Delhi: “Congress president Rahul Gandhi can never become the Prime Minister of India unless there was a miracle,”said Union Minister Maneka Gandhi in an interview to a leading news channel. The senior BJP leader also asserted that Priyanka Gandhi Vadra, who was appointed Congress’ general secretary for UP (East) will have no impact on the forthcoming Lok Sabha elections 2019 as she does not have the workers. Earlier on March 27, while speaking to Congress workers in Amethi, Priyanka Gandhi Vadra had announced that Rahul Gandhi will be the Prime Minister if Congress comes to power. “We will win this (2019) Lok Sabha election and Rahul will become PM,” the Congress general secretary for UP east told party workers. Several Opposition leaders like MK Stalin, Tejashwi Yadav had also projected Congress chief Rahul Gandhi as the prime ministerial candidate of the United Opposition. Earlier this year, Rashtriya Janata Dal (RJD) Tejashwi Yadav had that Congress president Rahul Gandhi has all the qualities to make a good Prime Minister. Stalin had also made a strong pitch for the Congress chief as the prime ministerial candidate of Opposition. “Rahul has got the ability to defeat fascist Modi government. Let’s strengthen Rahul Gandhi’s hands, let’s save the country,” the DMK leader had said.